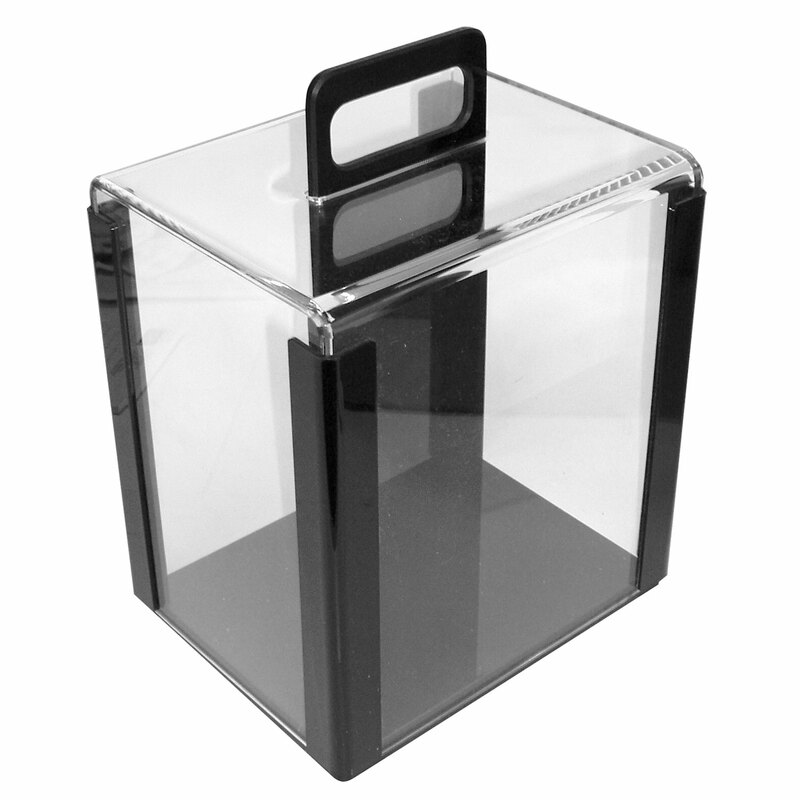 This is the poker chip carrier that is used in casinos and card rooms around the world. 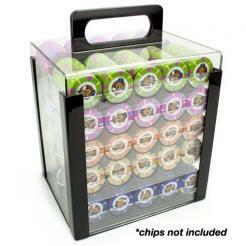 This carrier has a total capacity to hold 1000 poker chips with the use of ten 100 chip trays. 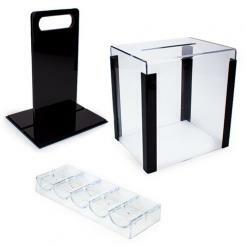 Chip trays are included with the chip carrier. These chip trays are stackable with chips in them. If you transport your chips often, this is by far, the best option for you. There is a reason that this is the choice of most casinos. Its design provides superior portability and the "bird cage" lid design provides easy access to the chips. The chip trays organize the chips into 5 rows of 20 chips, which makes it easier to count out chips. overall handle height - 12.25"